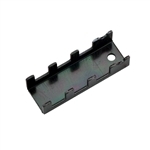 Star Door Parts offers a full line of garage door and opener parts and accessories for Sears Craftsman garage door openers which are made by the Chamberlain/LiftMaster Group, the world's largest manufacturer of residential garage door openers. As a result most all LiftMaster parts are compatible with Sears Craftsman openers. If you are unsure which parts you need please call us toll-free at 877-226-2676. Order today for immediate shipping! 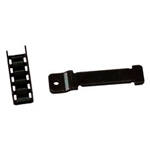 Wayne Dalton 339621-1 adjustable operator bracket for Wayne Dalton Model 9100 and 9600 garage doors.